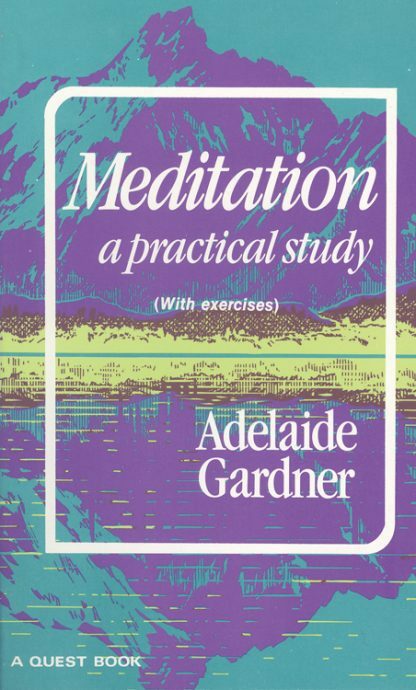 Meditation is the art of being, and in this book Adelaide Gardner focuses on the naturalness of this state of consciousness and the great usefulness to be derived from it. Today, there is little doubt that a quiet and concentrated consciousness can deepen one's awareness of life and permit the achievement of a greater degree of inner peace. This small classic is evidence of this fact. It has been used by tens of thousands of individuals. It has received numerous tributes. It is recommended for its comfortable and easy approach-as a fine guideline to proper meditative procedures. A highly practical study, it includes exercises that you can do alone or with friends.